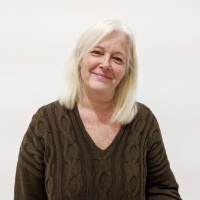 It's our wish to provide you with a personal service using the knowledge and skills we have accumulated over many years to ensure that you secure the motorhome or camper that is right for you. If you don't see what you are looking for in our stock list, please call us to discuss your requirements. I have been best friends with Tim since our school days and have vicariously lived his motorhome adventures and shared his passion for the motorhome industry over many years. My career has largely been corporate based and I have been responsible for mentoring numerous technology start-up companies worldwide. However, the urge to join my dearest friend in the motorhome industry has ultimately proved too strong to resist and so here we are working side by side to bring high quality motorhomes and campers to a discerning public. The prestige and pedigree of the Nick Whale Sports Cars business has been seamlessly translated into our motorhome and camper sales. This is reflected in our attention to detail, presentation of our hand-picked stock and levels of customer service. I am proud to be part of this expert, professional team and look forward to welcoming you at our showroom. I have to admit to being an outdoor type and have been living the dream for over 20 years. Initially I used to holiday in a caravan, but I now have a T5 Camper and on occasion I am known to use a tent. As long as it's warm and dry I enjoy that just as much. My children grew up playing hide and seek and football till dusk, on many sites in the UK and Europe whilst I enjoyed a flame barbequed steak accompanied by a glass (or bottle) of something, restfully watching nightfall approach, so trust me I know what it's all about. I'm completely in tune with all the reasons why people buy a motorhome and there's nothing like sharing experiences with people who are like minded, I'm sure between us we will have plenty to share. 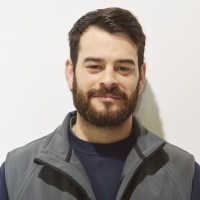 Before I came to work at Nick Whale Motorhomes, I was a Business Manager at a local caravan dealer in my home town of Kenilworth, and prior to that a time served engineer in the aerospace industry. I am pleased to be able to bring this expertise to Nick Whale Motorhomes as the Business Manager for Black Horse Finance. I now consider myself to be very lucky, because here at Nick Whale Motorhomes we provide and promote what I love best, being outside under the stars with a touch of convenience and luxury. So now I'm not only living the dream I'm selling it too! I've been in the Motor Trade since 1979, starting in the Parts Department before moving to Car Sale in 2000. I obviously jumped at the chance to work for Nick Whale Motorhomes when it was offered.. I am now able to enjoy all the latest fabulous models and meet many like-minded people, staff and customers alike. I have always had a passion for Motorhomes and Campers and as a "petrol head" I enjoy the technical side, including working on and upgrading my own Fiat based coachbuilt when I can. 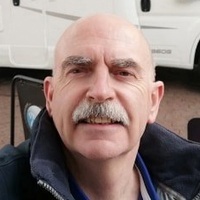 I very much enjoy the lifestyle, the open road travelling and I can often be found on Facebook pages sharing my experiences whilst also attending events such as Shell Island in Wales where I meet many Camping and Motorhome friends. My first camper was a Bedford CF Dormobile which I purchased in 1986 and used to tow my off road racer. When I'm not tinkering or using my Motorhomes I am often found to be flying my Microlight around the country with friends and camping whenever possible all over the UK and France. Combining my 18 plus years in the industry with my enthusiasm and passion, I can't wait to sit down with you and talk all things motorhome related! I've been working in the after sales and customer support sphere for over 12 years. My personal policy is... if something is wrong, make it good... If something is good, make it better. For many, motorhomes are synonyms for a way of life, freedom and great adventures. For me and my team, they are also great and complex machines. We are interested and intrigued by the new systems and solutions and keep up to date with the latest technologies and systems in the world of motorhomes. We are the guys in the background who work passionately to ensure you'll enjoy your adventures and make great memories. Happy camping everyone! As a creative I believe that connecting with people is incredibly important. I’ve worked within a Digital Media environment for over 6 years and my mission at Nick Whale Motorhomes is to ensure you gain a real sense of what owning your desired motorhome is like before you actually purchase it, or even see it in person. Exploration is a huge element of my life and I’ll always be up for having a chat about where you’ve been or where you plan on going. If you have any recommendations on places I should visit then feel free to tell me! I aim to immerse you into our world like never before and make you feel like part of the family. My journey to the world of motorhomes started in a simple tent with my family when I was much younger… The great outdoors and a sense of adventure have definitely shaped my private and professional life. 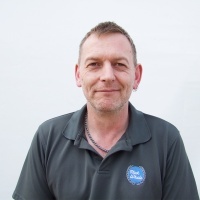 Today, I am an NCC approved, qualified and experienced motorhome/caravan technician with over 12 years of experience in building and repairing Auto-Sleeper motorhomes as their employee. I joined Nick Whale Motorhomes in 2016 to further enhance my knowledge of different make and models. Since Nick Whale Motorhomes are an authorised Auto-Sleepers dealer, it often feels like I am still part of the Auto-Sleepers family, working hand in hand with my old colleagues on many projects. This detailed knowledge of Auto-Sleepers motorhomes helps me to advise customers regarding any extra equipment they would like to have installed to the motorhome and ensures the installation of these extras, and any repairs, are equal to factory standards. As many working in this industry, I too have a passion for the outdoors and have been enjoying camping holidays since I was a child. I’ve joined the team here at Nick Whale Motorhomes in February 2017 after working in this industry for over 5 years. As After Sales Coordinator, one of my responsibilities is the customer handover, a task which I thoroughly enjoy. Should you purchase a motorhome from us, we’ll very likely meet at this point and I’ll be glad to show you around your newly purchased motorhome and explain how it all works. My experience and training have allowed me to build up a good product knowledge and working hand in hand with our suppliers, I can advise you on the latest available equipment to make your motorhome suit your required needs. I look forward to meeting you during one of my “signature” handovers to ensure you get the very best ownership experience from your purchase at Nick Whale Motorhomes.